This original painting, “Life of the Party” will be available in May 2013 at Taipei’s A.R.T. International Art Show. 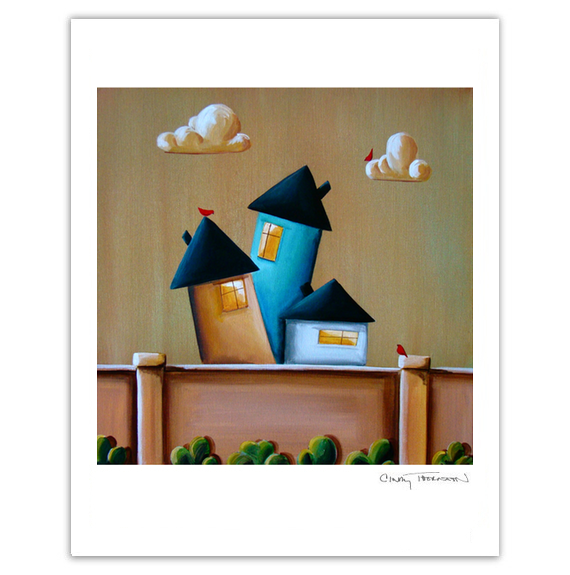 I’ve made 10 signed limited editions which are now up in my shop on etsy. Enjoy! 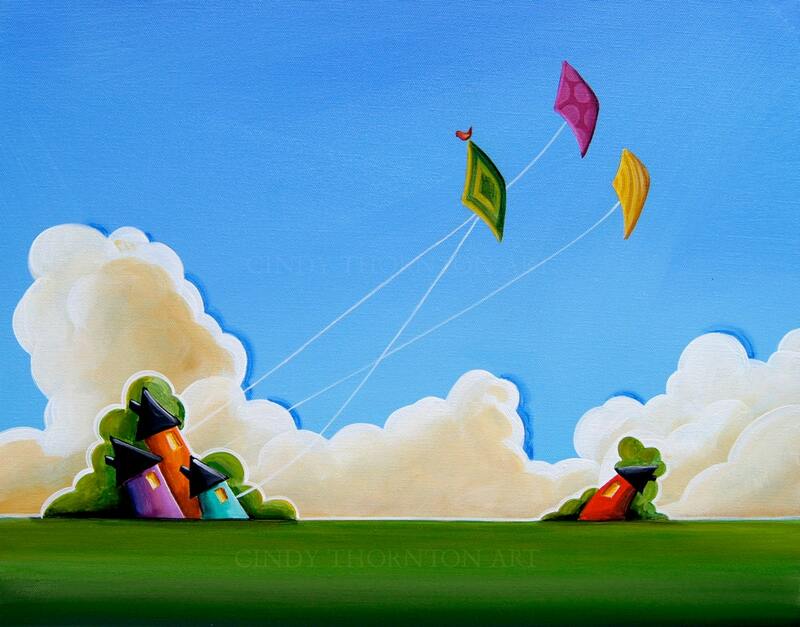 Sold to a collector in GA.
New Children’s Book Just Released! I have a new children’s book out! 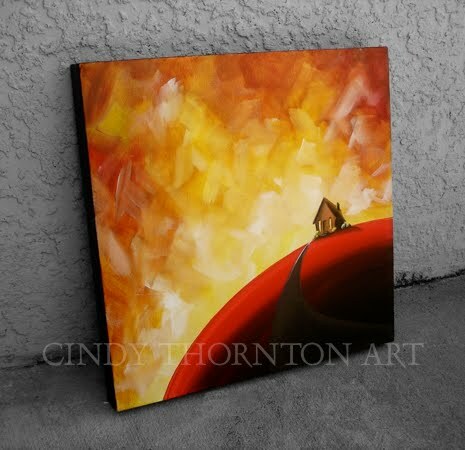 My husband wrote the story, I painted the pictures. 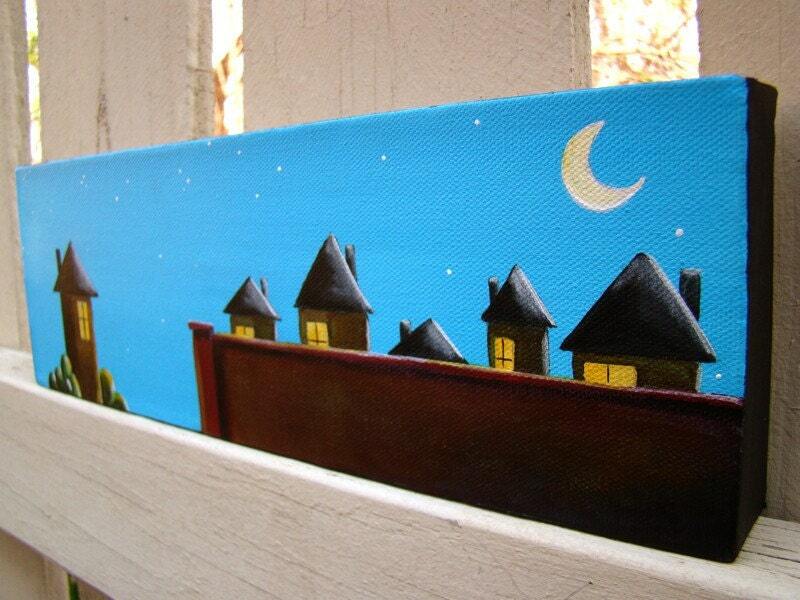 I paint lots of little houses in my paintings. So we decided to take one of those houses and build a story around him….we named him “House” lol. Anyhow, here is the official description of the book along with some photos I took of the proof I was sent. The paperback is just now showing up on Amazon. Hardbacks will be available shortly (middle of May, maybe sooner). 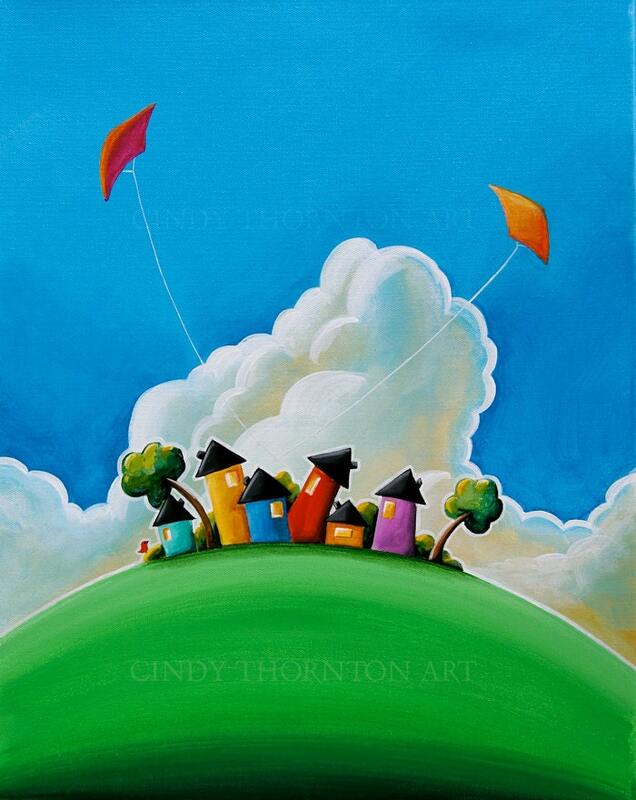 Artist Cindy Thornton is known for her whimsical landscapes and imaginative storybook-style illustrations. 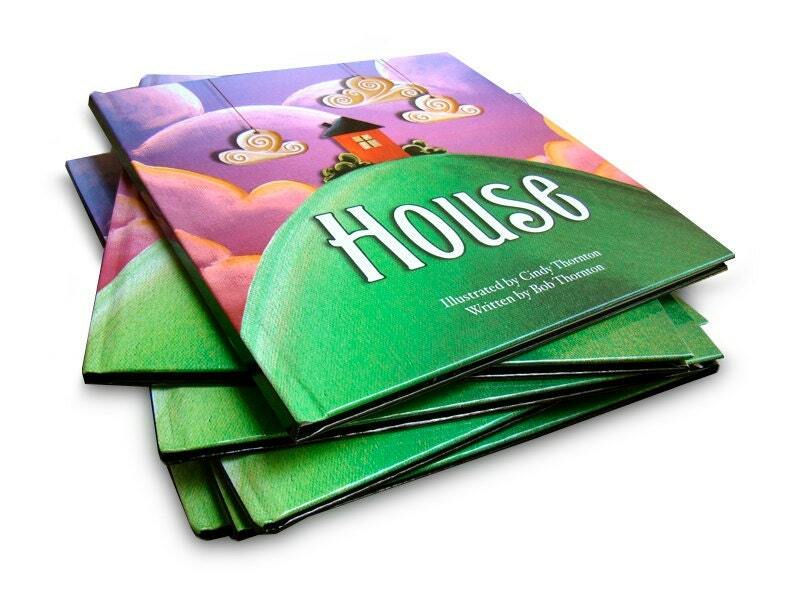 Her vibrant, colorful art is showcased in House, a picture book for all ages that brings to life one of her favorite subjects. 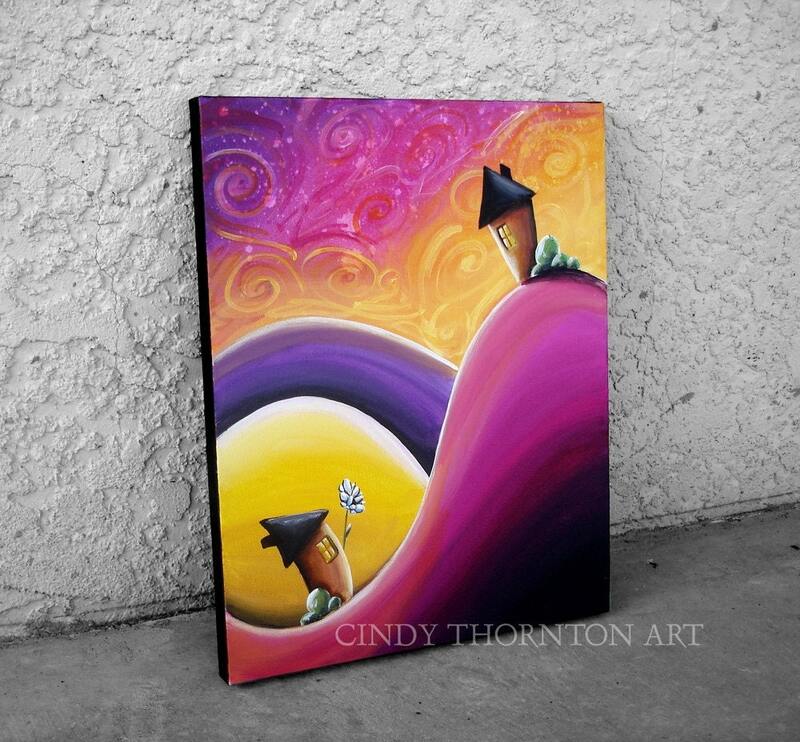 The curious title character has many unexpected adventures when he decides to leave the comfort of his simple hill and explore the unknown world below. He swims with sharks, flies with jets, plans a mission to outer space, and eventually discovers what is truly important to him. I don’t think this painting needs any explanation. The question is though, which home can you relate wtih the most 🙂 See it on etsy. Sold to a collector in France. 11×14 acrylic on canvas. You know that song from Snow White? Cute right? 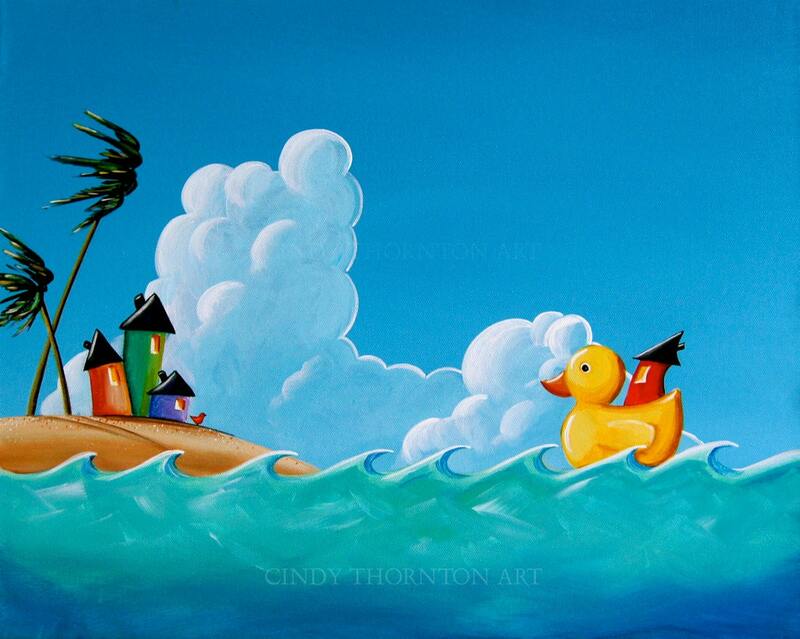 I have made this painting available in print at imagekind.